And there is the religious bit lurking behind it all. The reasons for this lie deep, in the origin of Hinduism as an organic religion. Its followers have over time considered anything, animate or inanimate, to be sacred and aspects of divinity. That is also why even secular events like harvests take on religious overtones, with the patron deity presiding over the festivities. As soon as something happens, there is a kind of thanksgiving to the divine that follows it. Apart from the universally celebrated festivals like Dussehra, Diwali and Ganesh Chaturthi, there are others that are observed in specific communities or geographical areas. 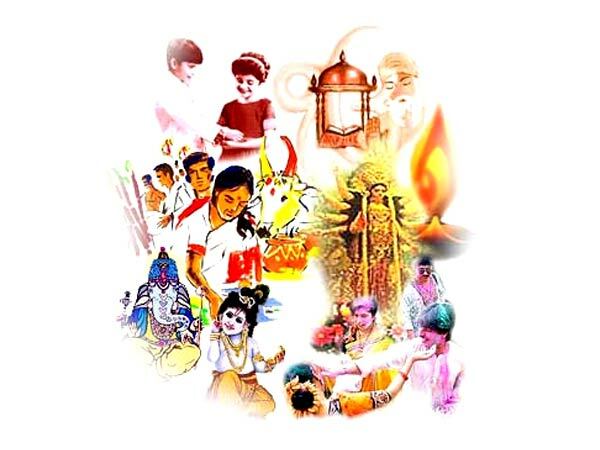 Hindu holidays are also confined to particular regions by the importance a certain god enjoys. Worship of Kartikeya (as during the festival of Skanda Shashti) is predominant in Tamil Nadu, where the god is considered a patron of the region. Onam is a good example of a festival that is celebrated solely by Keralites. Another interesting aspect of Onam is that it is perhaps the only major Hindu festival that celebrates the reign of an asura king, although a benevolent one. The profusion of legends and the contradictions inherent in them is reflected in festivals too. Travel around the country, and you will hear people tell you a variety of legends involving different gods behind a single festival. Besides, you will also find versions of the same festival being celebrated under different names in different regions. All this adds that facet of unending novelty and constant change to the strikingly colorful kaleidoscope that is India. You might end up thinking the thought: "The more things change, the more they remain the same", which is something often said about India and its magical agelessness. With so many holy days and more than 20 major Hindu festivals, the calendar should be liberally sprinkled with them. But it isn't so. There is a distinct festival season, which runs from late August through December. This is when there is a fever of celebrations, with a string of important festivals following one another in a rush. But the major festivals are not the only ones that the people celebrate. Browse through the Hindu almanac, and you will find a mention of holiness or sacredness against almost every day of the year. Most of the lesser festivals are lesser because they have a private rather than public face. There are rituals for phases of the moon, solar and lunar eclipses, days of the week, a person's auspicious star or zodiac sign.